Brian Chance is a subject specific in-home tutor for elementary, middle, and high school students. He also specializes in tutoring ESE, 504 and Gifted students. A graduate of the University of Florida with an M.A. from Stetson University, Mr. 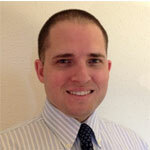 Chance brings eight years of successful certified teaching experience to the Ace It Test Prep team. He knows what it is like to navigate a rigorous educational environment himself and provides that for his students. Brian Chance has been awarded Volusia County’s highest rating for the past three school years for his instruction. He is young, enthusiastic, and able to relate to today’s students. He also has extensive experience providing practical strategies to help students reach their full academic potential. He has been tutoring local students at all academic levels with a high level of success. Brian enjoys problem solving with students and families to find the best approach possible for students to maximize their performance in their academic subjects. He currently offers tutoring for elementary and middle school students as well as social sciences at the high school level.